Joanna Stampfel-Volpe publishing experience began with Barnes & Noble. 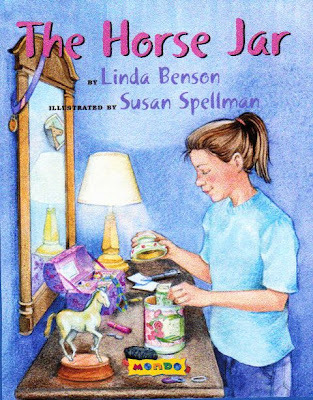 She was also an editorial assistant at a small children's publisher, on Long Island, Blue Marlin Publications. 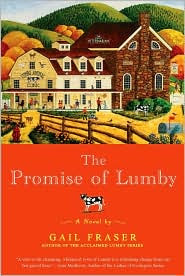 She later became part of the FinePrint Literary Management after taking publishing courses with Peter Rubie. 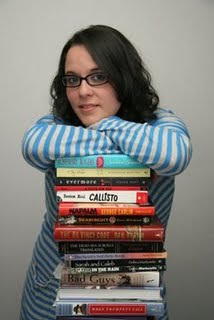 At FinePrint, she started as an intern and later as a literary Junior assistant. 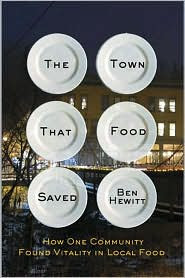 Within just a few months, she was taking clients of her own includes Ben Hewitt “The Town That Food Saved.” It’s about how the organic food industry saved a small town in Vermont. In January 2008, she moved over to work as a full-time agent with Nancy Coffey, at Nancy Coffey Literary & Media Representation. They are a full service agency and active member of SCBWI, RWA and AAR. 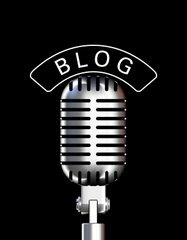 She’s is looking for genre fiction, YA non-fiction, contemporary, humor, historical and fantasy/sci-fi that stand out, unique, historical, paranormal, contemporary, fantasy women's, urban, steampunk, unique, up-market fiction dark, literary, horror, dark comedies, speculative fiction, narrative non-fiction pop culture. Linda Benson, Janie DeVos, the late Andrew Britton, Eric Etkin, Gail Fraser, Children's Fiction winners of the 76th Annual Writer's Digest Writing Competition, Alison Hart, award-winning author of young adult books and novels, mysteries and historical fiction. 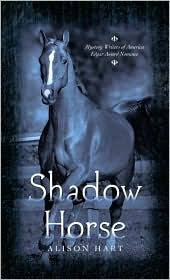 Her novel “Shadow Horse,” the prequel to “Whirlwind,” was nominated for an Edgar Award, Kody Keplinger an 18 yr old writer whos book DUFF was option for film, Emma Vaile, Lynn Marshall, Lee Nichols, Kimberly Sullivan, Karen Schwabach, Michael Sussman and to name a few. Ms. Stampfel- Volpe strategy is to focus her professional resources and attention on her strengths. To that end, she has elected to exclude a number of book categories from consideration. That list includes mysteries, screenplays, poetry, short stories, corporate legal thrillers, academic non-fiction, cookbooks, epic fantasy for adults and memoirs. Ms. Stampfel-Volpe and Nancy Coffey, only works with high quality writers. E.I. Why is fiction harder to sell than nonfiction? Is it because of the bad economy? J.S.V Good or bad economy, nothing is easier or more difficult to sell if the writing isn't solid, and for non-fiction, if there's no platform. I can't sell non-fic without platform no matter how well written, and I can't sell fiction that doesn't have a captivating voice and plot. Period. But if the non-fiction has a great platform, then yes, it is easier to sell (at least for me) than a really well-written manuscript. And it has nothing to do with the economy. That's always been the case. If you want to know why, go to your local Barnes & Noble--70+ percent of the story is non-fiction books! The fiction sections are actually quite small in comparison. So if we're looking at this just statistic-wise, then there are more non-fiction books and non-fiction readers than fiction books and fiction readers out at any one given time. You do the math. E.I. How long does the process generally take from the time a client first contact you until their book is published? Can you tell the readers various steps of this process? J.S.V Well, when I take on a client there is no guarantee that their book will EVER get published. It's the name of the game. But I won't work with someone if I don't love it and feel a strong chance that it will sell. So that being said, it can take anywhere from a couple weeks to forever before a book is published. When I actually sell a book, from the date sold to the date it's published is typically 18-24 months. 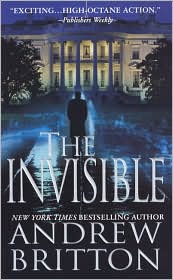 So the books I sell tomorrow are coming out in 2011, some even early 2012. There are so many steps that are taken before, during and after submission. Depending on the client and the project, revisions before I go on submission with something can take anywhere from a couple of weeks to 6 to 8 months. This all depends on how much work is needed, how fast the client can revise and respond, and how much I have on my plate at that given moment. Once we both feel it's in good shape for submission, I create my list of editors and start pitching. I pick my editors very, very carefully. I'm not going to pitch to someone if I don't think it's the right project for them. That would be a waste of my time and theirs. I'm meeting and talking with editors almost every day, constantly updating my "database" (aka--mostly mental notes) on who is looking for what, who likes what, who hates what, etc. So I know what I'm doing. One of my biggest pet peeves is when a writer sends me a note saying "I read in ______ newsletter that so-and-so is looking for middle grades now. You might want to try them." Mostly likely, I know so-and-so, and if I thought they were right for your project, I would have already pitched them. And just because they're looking for middle grades (which is very, very vague) it doesn't mean that YOUR middle grade is right for them. I don't mind if a client mentions that they met an editor at a conference who requested their work--that's different. They've made a personal connection with that editor. Or if they saw an editor on a panel say that they're looking for something specific--again, it's a personal connection because they heard it from the horses mouth. But just reading something in a newsletter--and most writers don't realize this--well, it's already old news to me. Even PW Children's Bookshelf announces news a couple weeks later than agents typically get it. Back to submissions, once the editors are reading, I'll send an email to the client letting them know which houses have their projects, then we wait for a few weeks before I start following up (or hopefully they call me first!). If need be I'll go on a second round of submissions with a project as well. E.I. What qualities must a first-time writers exhibit in their query letters that might convince you to take a chance on them? J.S.V For me, it's all about the voice. If the voice of the character jumps out at me, I'll definitely read some of it. To learn more about their agency please visit their WEBSITE. Great post. I'm a fan of Joanna Stampfel-Volpe as well. Thanks for the interview. Have a great Saturday. I got to your post from Query Tracker. Joanna is the best! Great interview. Great interview. I appreciate the advice in general and am impressed by Joanna. I had the opportunity to hear her speak at the Crime Bake conference in Boston this Fall -- equally as impressive in person.